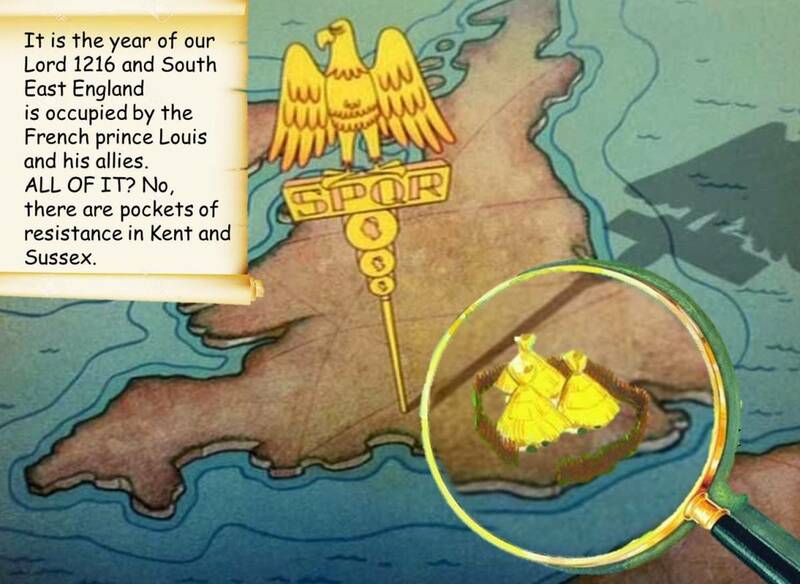 The motto refers to the inherent stubbornness of the South Saxons of Suth Seaxna Lond, specifically when 'sheere-folk' (foreigners from faraway places like Kent, Surrey, Hampshire and beyond) start telling the South Saxons what to do. 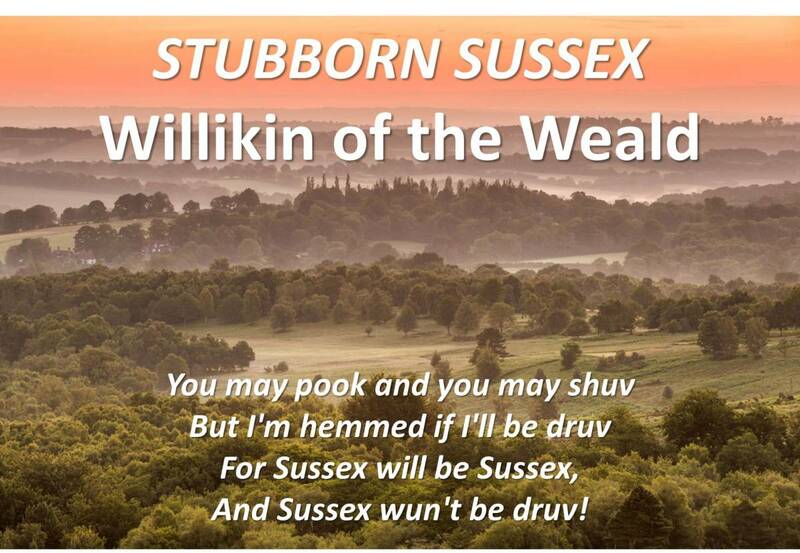 In this instalment: Willikin of the Weald and the French invasion of 1216. 1215 to 1217. There you have the dates. Meaningless? Never mind, this is where the kings come in handy as a reference point. 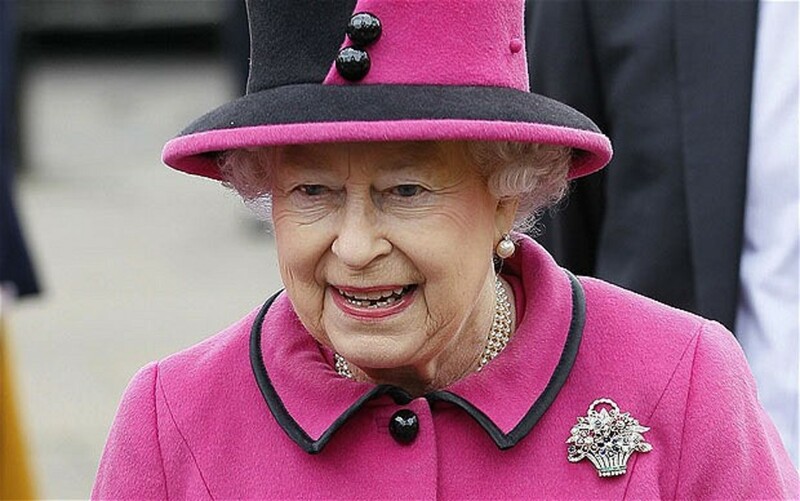 At this time King John ruled England having obtained the crown after the death of King Richard the Lionheart, events which have been covered in recent movies such as the 2010 Robin Hood and the 2011 Ironclad. Needless to say, the movies have a shaky historical basis, which is fine, the makers were out to tell a ripping yarn, not make a documentary. During these years England was consumed by the First Baron’s War, so-called because a large number of English Barons had rebelled against King John, inviting the French Crown Prince Louis to come to England and depose John. This wasn’t all that surprising as John was a thoroughly nasty piece of work. He had betrayed his father Henry and his brother Richard, imprisoned his sixteen year old cousin Eleanor, castrated and blinded her fourteen year old brother Arthur and discarded his first wife in favour of twelve year old Isabella of Angoulême whom he kidnapped from her family and fiancée. If court gossip was to be believed he bedded Isabella with high frequency, usually not leaving her bedchamber to run the kingdom until well past noon. Morover, John was easily offended, trusted no-one, harboured grudges and exacted gruesome revenge when he perceived a slight. He also failed at his main task as king, namely defender of the kingdom, as he had lost all his family’s French possessions in a conflict which left him with the dubious nickname John “Softsword". Prince Louis sent troops to help the rebels secure London and soon after crossed the English Channel in person. Basically this was a French invasion of England, albeit with a helping hand from many English nobles. About two-thirds of the Barons viewed Louis as a saviour, come to rid them of a tyrant. For others, namely the common people, enough was enough. In the Weald, the heavily forested area between the North Downs in Kent and the South Downs in Sussex, resentment turned to active resistance. It was here that we see peasants taking on their social betters, usually a recipe for disaster. The leader of this uprising was a young squire called William of Cassingham. In no mood to subject to a French royal Cassingham gathered around a thousand local archers in the Weald and conducted a successful guerrilla campaign against the French invaders, killing hundreds and leaving his victims hanging from tree branches. Cassingham became a hero for the common people. For them the war was a disaster as they could hardly tell the difference between the French invaders, the “English” nobles who were French speaking Normans and the foreign mercenaries employed by King John. The counties of Suffolk and Norfolk for example, were first ravaged by the French armies, which burnt, raped and looted at will. When John’s forces arrived they accused the locals of aiding and abetting the foe by allowing all of this to happen and as punishment John’s army burnt, raped and looted some more. In the eyes of the nobility, Anglo-Saxon peasants were pretty much fair game and it was difficult to tell the sides apart. Whether the soldiers were French soldiers in the service of Louis, foreign mercenaries in the service of John, or Norman nobles on either John or Louis’ side, they all spoke French, they all burned, raped and looted as they pleased and it is little surprise that the English speaking Anglo-Saxon population regarded them all as nasty foreigners. William of Cassingham on the other hand was a noble of relatively humble birth, his ‘army’ consisted of English commoners and he seemed intent on and capable of punishing the foreign troops. He thus became the focus of popularity, a hero to admire and was given the affectionate nickname Willikin of the Weald. Willikin showed that he could do more than just snipe at the foe. When Louis led an army of about 4,000 men south he was ambushed near Lewes, his rear guard peppered by arrows from near invisible archers and then set upon by fast-riding horsemen. The French panicked and rushed headlong for Winchelsea, chased every step of the way by Willikin’s men who harassed the French non-stop, cutting off stragglers and taking some high ranking prisoners. It is said the French lost close to a thousand men in this action. When they did reach Winchelsea the danger wasn’t over, for the town was empty, there was almost nothing to eat and Willikin’s archers were joined by regular forces led by the indomitable William Marshall, who had become Regent as John had conveniently died and his son Henry was too young to assume full kingship. Louis was effectively besieged until he managed to make his escape by sea. 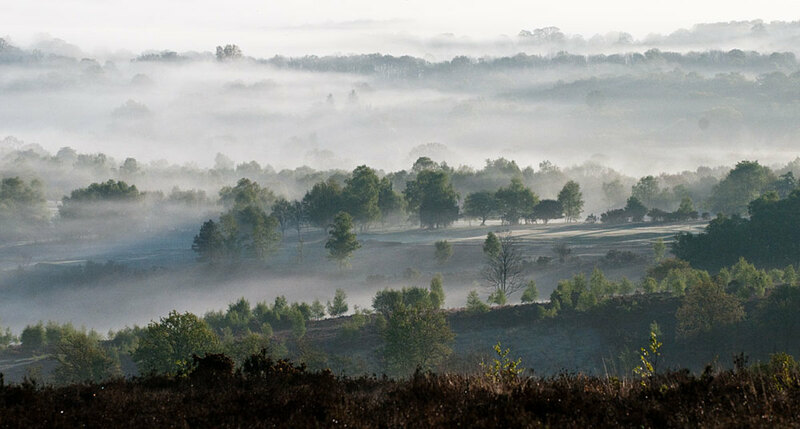 How was it possible that 1,000 foresters caused such a French headache? 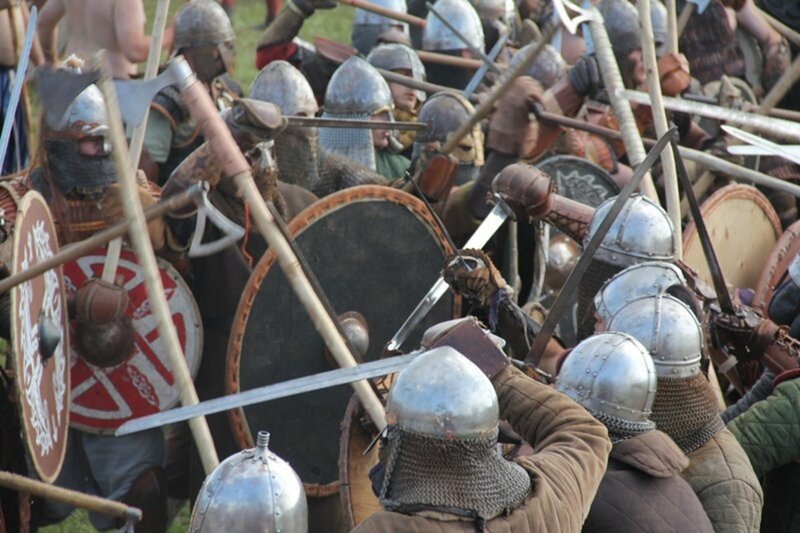 After all, the one side was encased in armour, well-armed, well-trained and battle hardened. The other side is often described as a motley collection of rustic countrymen. In effect they were commoners: Foresters, colliers, smelters, verderers and farmers. Armed with bows and tools of their trade, protected by leather aprons or jerkins and for the most part untrained for battle. This is where we get to the fun bit, making a few educated guesses and forming a picture of what happened in those forested areas of Kent and Sussex all those many years ago. A smart commander, having little to no time to train his men in a method of fighting that might well be alien to them would have made use of the assets that were immediately available to him. These assets were fourfold: The Weald itself, the longbow, forestry skills and fear. 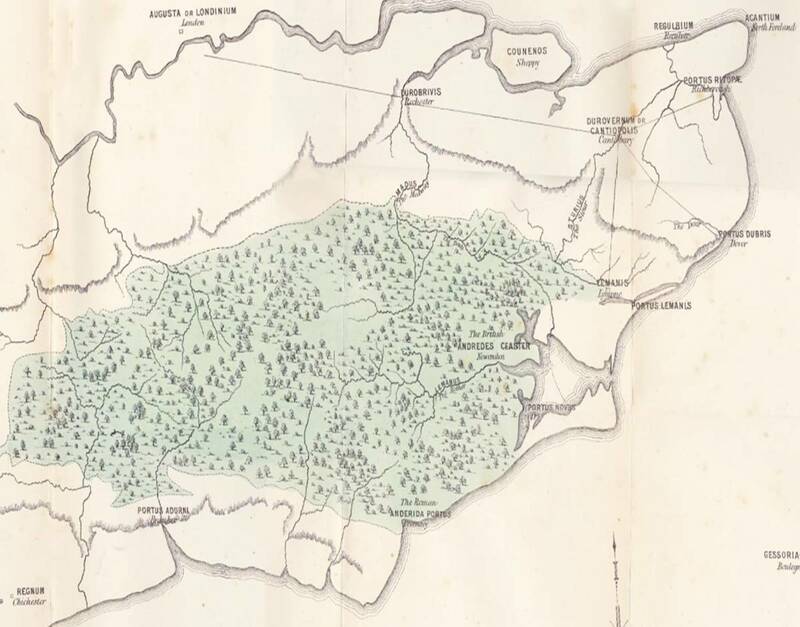 The Weald was ideal terrain for guerrilla warfare. The woods would have been coppiced near the thirty odd iron furnaces that existed at the time. This means that the trunks were cut close to the roots so that each root produced a large number of smaller trunks rather than one main one. For the purposes of charcoal a greater volume of wood is produced, in handily sized trunks which are easy to harvest, transport and process. Other swathes of woodland were dense, not cleared of fallen trunks and undergrowth, to offer shelter for game. Both types of woodland impede movement by armoured troops, whereas the locals were not hindered by armour and accustomed to the terrain. With men-at-arms restricted to the roadways a very specific characteristic of these roadways now comes into play. One of the most common farmyard animals in the Weald was the pig. Pigs are notoriously fond of acorns, the Weald was well supplied with oak and every autumn drovers would drive their herds along the roadways called droves to dennes; open spaces where the pigs fed on acorns. In due time some dennes became permanent settlements, others remained a clearing that signified a dead-end drove that could be many miles long, its sole purpose the passage of pigs. Roughly 150,000 pigs a year had trekked to and fro within the Weald since Roman times, wearing the droves deep into the earth, at times these sunken lanes dip as deep as ten to twelve feet. Surrounded by practically vertical banks topped by dense undergrowth the droves heavily favoured the ambusher. Opponents are stuck at the bottom of broad ditches, unable to get at the foe who is raining arrows down onto them. Even if the men-at-arms made it through one of these droves, there’s a chance all it led to was a dead-end and they would have to hazard the return journey. The second instrument at Willikin’s disposal was the Longbow. Or, to be more precise, a thousand Longbows. 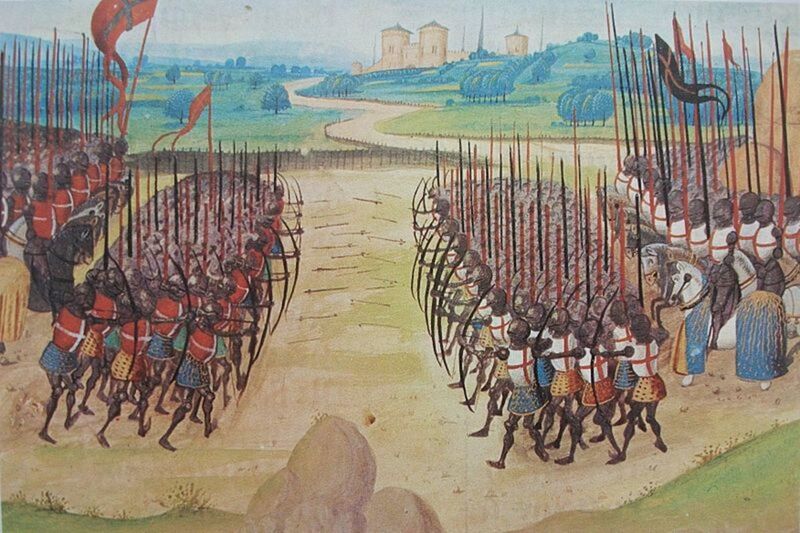 These were the predecessors of the great Warbows that wrought such havoc during the Hundred Years War. 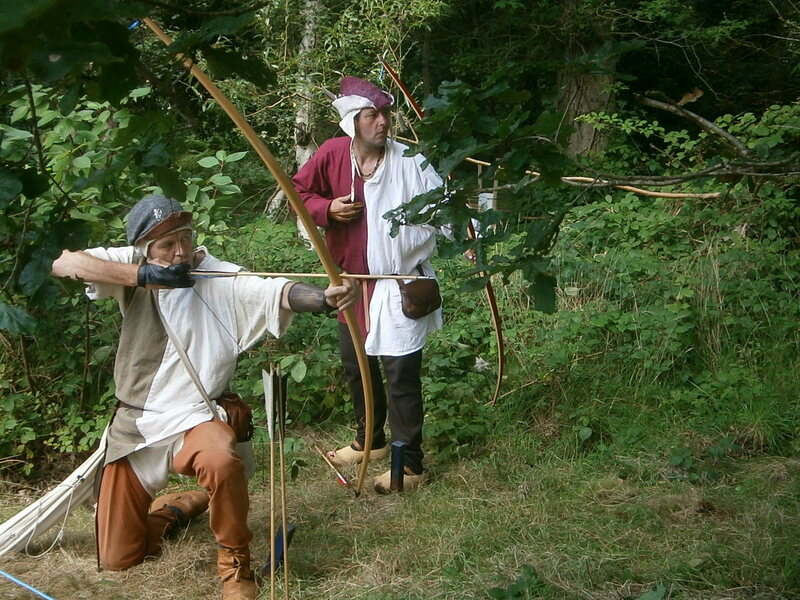 They are sometimes casually dismissed as short hunting bows, the assumption being that anything that falls short of the mighty Yew Warbows of Agincourt fame is hardly worth mentioning. This is very presumptuous, basic research reveals that medieval hunters make a distinction between light and heavy hunting bows. The light bows would have been for archers stalking quarry on foot or on horseback as they needed to keep their bows partially drawn for longer periods of time. Archers shooting from fixed positions would have used heavier bows. 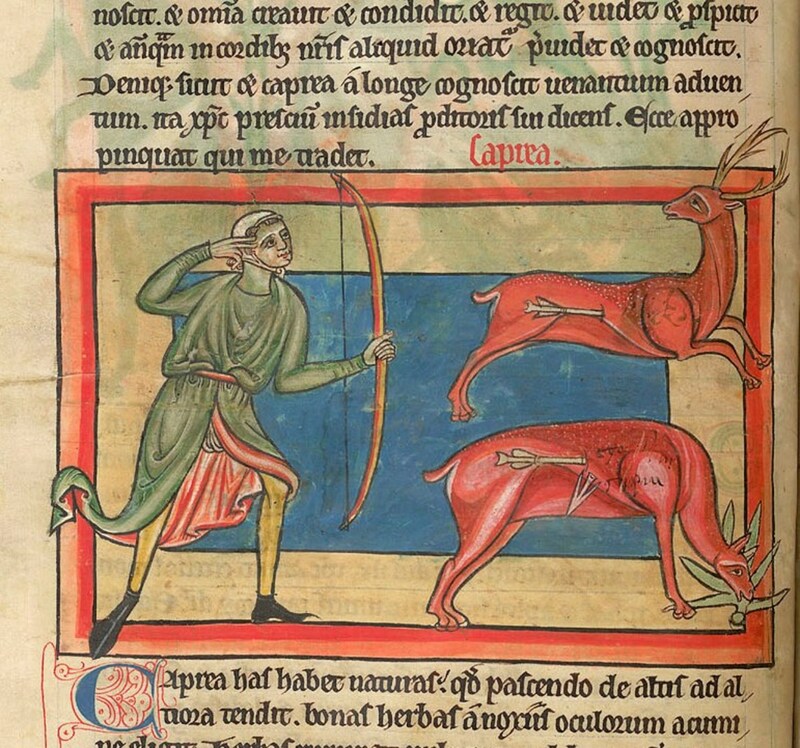 One of the near-contemporary hunting manuals warns hunters to never shoot directly at the side of a deer in case the arrow not only enters but also wholly exits the prey, thereby endangering other hunters. Prehistoric and medieval bows that have been excavated reveal that West European bowyers knew the secret of combining heartwood and sapwood in Yew staves and those bows are estimated to have had a draw weight of 80-100 lbs. In other words, the bows available to the men of the Weald would have packed a considerable punch. 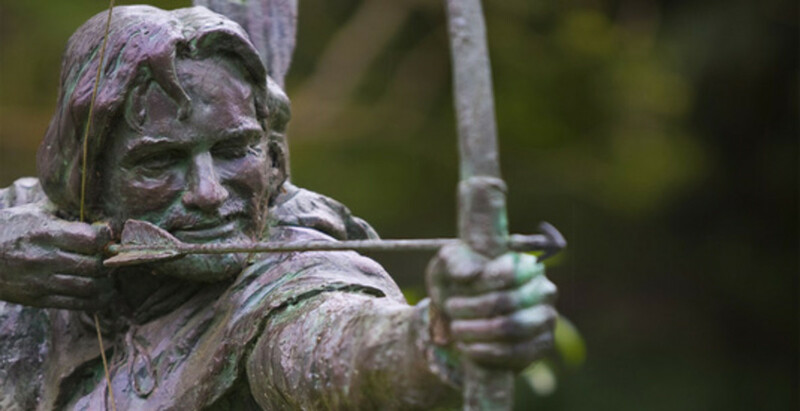 Just imagine yourself there, with a 90 lbs Yew Longbow, no more than ten feet away from your helpless enemy, having the time to carefully nock, draw, take aim and loose…. Men in the greenwoods armed with bows and arrows and taking on the soldiers of a 'bad' king. 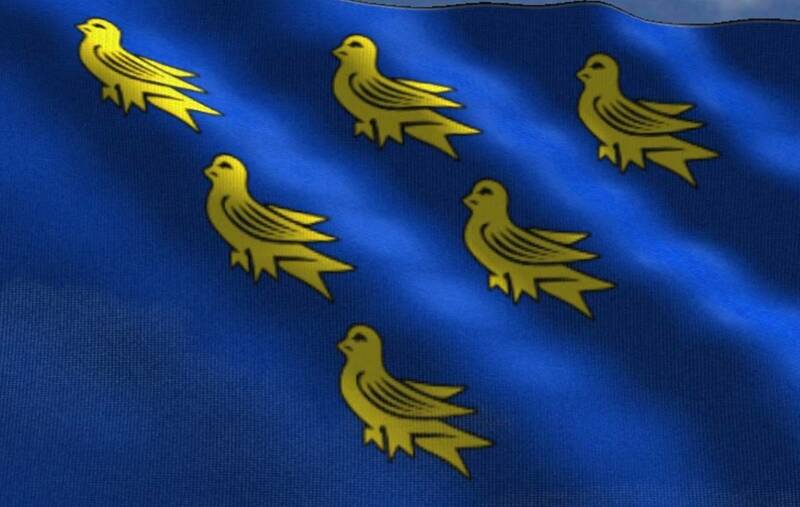 It all happened in Sussex. The wielders of those bows had not been instructed in battle skills since childhood like their foe. In most medieval conflicts involving untrained commoners the latter fare badly in a classic set-piece battles. In movies this problem is solved by means of fast-track training in which the peasant rabble acquire combat skills in no time at all. These scenes may be pleasing to the eye, but are very unrealistic. None-the-less, if we focus on the training Willikin’s men had received, rather than that which they had not, then things start to make sense. 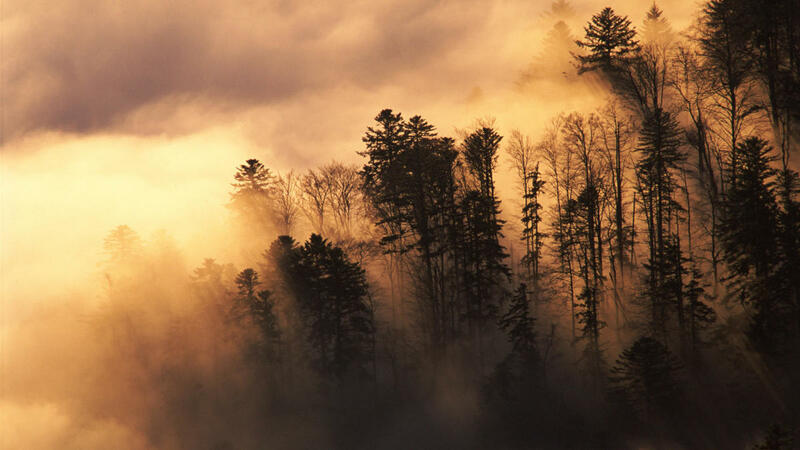 The foresters would have been trained as hunters. Whenever nobles went hunting they needed retinues to assist them. There would have been full-time professionals who maintained the game stocks and co-ordinated hunts but many extras would be drafted in, to drive the prey towards fixed locations for example, and archers to man those locations, screens of interwoven branches called stable-stands. Communication was conducted by a specific pattern of ‘moots’ on a hunting horn or calls to a pack of hounds. Hunters were able to tell each other that a quarry: Had been spotted going this way or that; had gone to ground; was gaining headway; was being pursued; needed the leeway to flee in a required direction; was approaching a stable-stand; had been disabled by archery or by hand. They could also be used to instruct hunters or hounds to: Assemble; return home; pursue faster; pursue slower; change direction; call off the chase; change quarry; converge on the quarry; move in for the kill; or surround an exhausted quarry. Such communication gives the hunters a huge advantage and makes escape for the hunted nigh impossible. The understanding that your position is being continually broadcast to all and sundry must have caused considerably worry, if not fear and panic. Futhermore, professional huntsmen would have known where and how to position multiple stable-stands to create effecive kill zones. As if that wasn’t enough the packs of hounds could also be used in relays, the hounds trained to drive the prey in the right direction as well as being able to pass over this duty to the next pack. Willikin’s last weapon was fear. War is a nasty business, none-the-less, amidst the gruesome visual array to which d’Erley would have been acclimatized there was something which he intriguingly labels ‘worse’, worse even than partially eaten corpses. Add to that the fear the French had of the Weald and the grim headlong flight as an entire army was scared into panic and something or other could be said to have had a profound effect. There are a couple of hints that Willikin practised psychological warfare. The first is a reference to yet another nickname for William of Cassingham, as Willekin de Waus or Vaux. Spoken aloud, the name sounds like the English word “Wose”. In Anglo-Saxon folklore that name is used for a wild creature that lives in the woods called the ‘Woodwose’. Like the leaf-faced Green Man, images of Woses can be found in religious buildings such as Canterbury Cathedral (not far from the Weald). In British folklore the Wose has many names and guises, including that of: Jack-in-the-Green; Puck; Robin Goodfellow; Robin Hood; Wodewose; the Green Knight; and Herne the Hunter. The latter, Herne the Hunter, is leader of the Wild Hunt, an antlered figure with a hooded skull or vacuum as a face, riding through the night surrounded by wild hunters and demon hounds, his presence announced by haunting calls of hunting horns. He echoes the Celtic deity Cernunnos and the Roman god Pan as well as the Norse Woden. Woses are sometimes depicted mingling with humans at pagan dance rituals called ‘wild dances’. These are most probably the origin of Morris Dancing. In one hunting manual Gaston Phoebus advises woodsmen to wear green in spring and summer, and grey in the winter. When occupying a stable-stand strips of green and brown textile served as additional camouflage, the very stuff Morris Dancers depicting the Wild Hunt use for their costumes. Some Morris Dancers blacken their faces, an echo of the faceless wild hunters. References to old Germanic rituals specify hard loud drumming accompanied by fierce dancing and eerie ululations. Willikin had all he required to turn Wose; hunters, hounds, hunting horns. These associations alone are enough to earn him a reputation as Wild Man of the Wood. On the other hand, paganism was deeply rooted in the Weald and dressing up as deities or spirits for spiritual celebrations was a part of contemporary pagan religion. 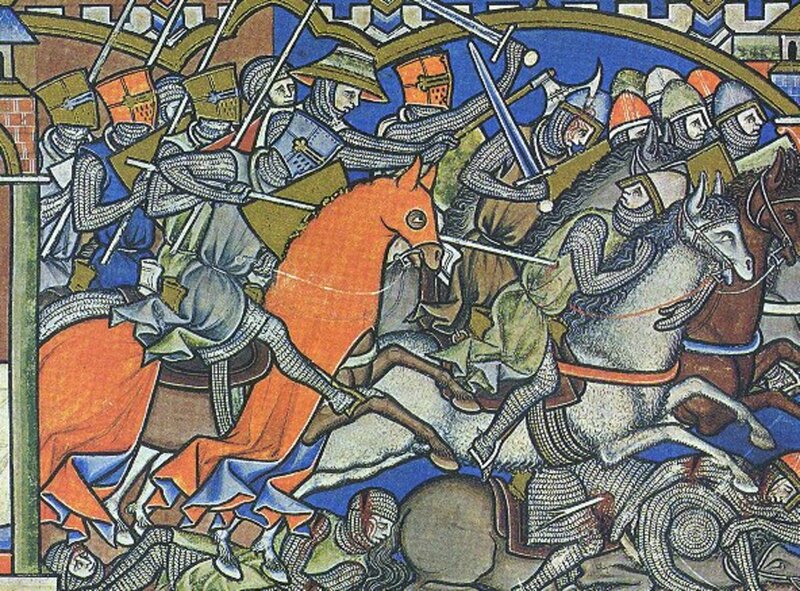 Medieval people were notoriously superstitious, none more so than soldiers. If you wanted to frighten them, summoning Herne’s Wild Hunt might well have done the trick. More solid grounds for fear in the Weald would have been less abstract in nature. We’ve seen talk of bodies hanging in trees, frequent decapitations and mutilation. The latter are the corpses d’Erley saw, “eaten by dogs”. It’s inconceivable that these were wild dogs, seeing the care that was taken to protect the wellbeing of game, which means the dogs’ behaviour was directed by someone, which suggests hunting hounds. The traditional Curee, in which the hounds were served the neck, bowels and liver of downed quarry may well have been the inspiration for giving the hounds such instruction. The public display of corpses suggests that these meant to serve as a warning, a time-honoured Anglo-Saxon tradition. In the forest of Dean, a mere two centuries earlier, three trespassers had been flayed alive, theirs skins nailed to the door of a public building. During the struggle for dominion of England the Anglo-Saxons would sometimes flay Danes and use the skins as morbid scarecrows, something they did at Worcester where the skins were nailed to the cathedral doors. The art of flaying was one of the skills a hunter possessed. In fact, they took pride in able to “undo” a deer without spilling a drop of blood on their sleeves, regardless of their social rank. We cannot know for sure, but the skills and tradition were present. There is a possibility that Willikin’s men “undid” their foe and the foe, undone, would have provided a very grisly sight indeed. What mysteries and horrors in yonder woodlands lie? As a man Willikin of the Weald remains elusive, though we could conclude he had effective leadership skills. 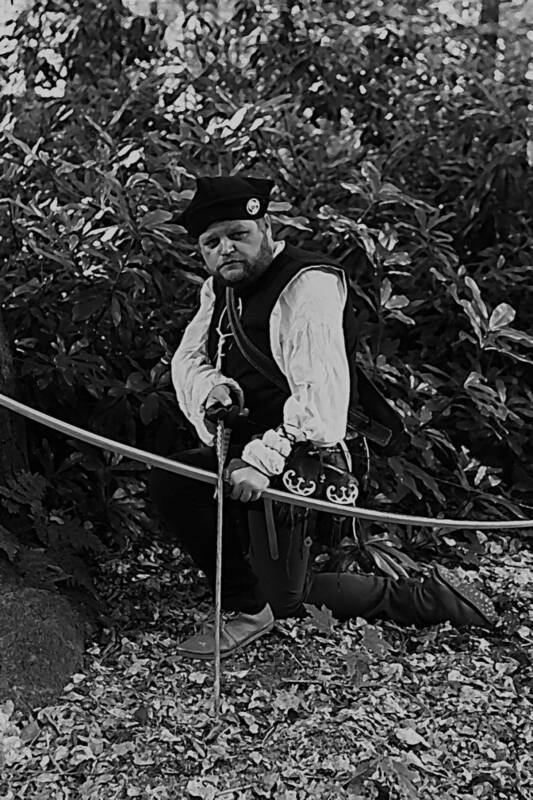 We do know that he made optimal use of the lay of the land and available weaponry and thus we are able to envisage the type of fighting that might have taken place, especially as it seems Willikin’s men relied on their skills as huntsmen. This latter notion is supported by the use of hunting hounds in battle. Slain foes were left in a manner which caused revulsion and fear. If Willikin was playing a psychological game, and his nickname Wose suggests he was associated with mythical woodland creatures, he may have harnessed pagan deities in his fight against the French, summoning the spirits of the forests to battle. In short he combined the archery and hunting skills of his men with the old pagan culture of the Anglo-Saxons and fused them into an effective weapon of warre. As for the war. King John had died and his son Henry was seen as an acceptable alternative. Though King Louis the First of England had been duly proclaimed King in London there had been missing elements of the coronation ritual which were used in the peace negotiations to come to a gentleman's agreement that the whole thing had never happened. Thus, 1066 remains the last officially acknowledged invasion of England and the Norman rulers did not have to be reminded that they effectively sold out to a foreign power to save their own property and wealth at the expense of the common people. Willikin and his Sussex and Kent forest-dwellers achieved an astonishing victory over the French, one which should, by all rights, be remembered and celebrated as yet another Agincourt, Waterloo or Battle of Britain in which the English - outnumbered and in a tight corner - managed to grasp victory from the jaws of defeat etcetera. 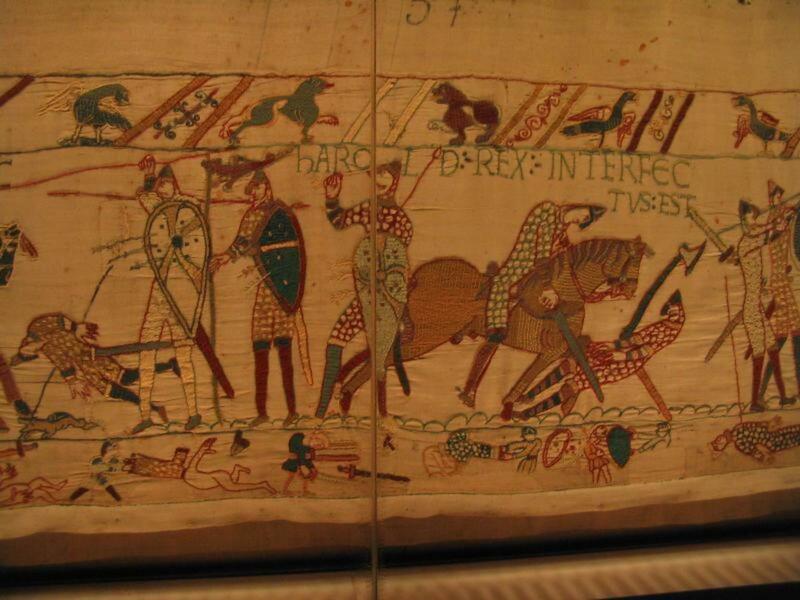 However, the Normans were reluctant to draw attention to their own betrayal of an anointed King of England and the fighting skills of determined commoners. 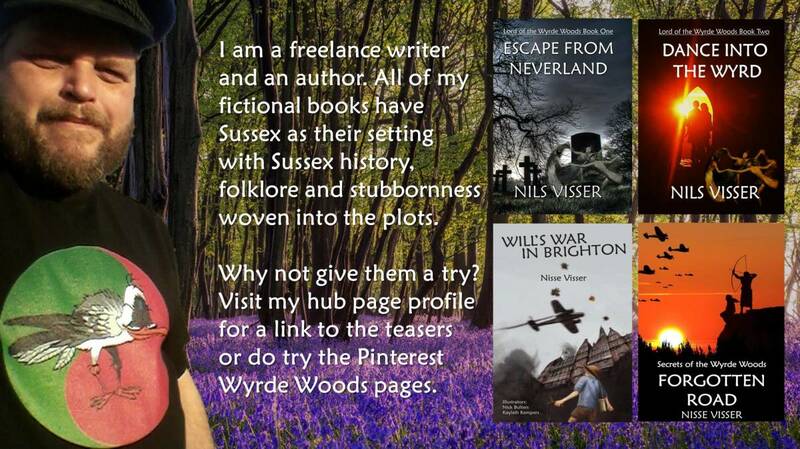 Hence Willikin and his motley band of foresters have become near-forgotten heroes of Sussex, Kent and England. In short, an embodiment of 'Sussex wun't be druv'.